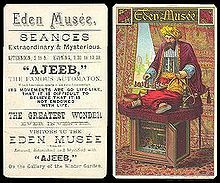 ^ a b c d e Ricky Jay, "The Automaton Chess Player, the Invisible Girl, and the Telephone," Jay's Journal of Anomalies, vol. 4 no. 4, 2000. 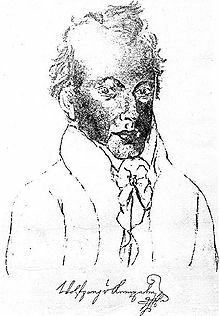 ^ Edgar Allan Poe, "Maelzel's Chess-Player," Southern Literary Journal, April 1836; available on the internet via the Edgar Allan Poe Society of Baltimore, Maryland, URL accessed 19 December 2006. ^ a b Ernest Wittenberg, "Échec!," American Heritage Magazine, 1960. URL accessed 1 January 2007. ^ Thomas Leroy Hankins and Robert J. Silverman, Instruments and the Imagination (Princeton, N.J.: Princeton University Press, 1995), 191. 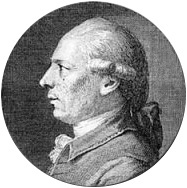 ^ W. J. Hunneman, Chess. 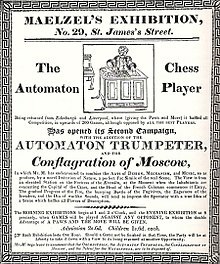 A Selection of Fifty Games, from Those Played by the Automaton Chess-Player, During Its Exhibition in London, in 1820 (1820); quotation taken from Levitt. ^ Deep Blue: Feng-hsiung Hsu, Behind Deep Blue: Building the Computer that Defeated the World Chess Champion (Princeton, N.J.: Princeton University Press, 2002). Levitt's book: The Turk, Chess Automaton product listing. URL accessed 1 January 2007. Standage's book: The Turk: The Life and Times of the Famous Eighteenth-Century Chess-Playing Machine product listing. URL accessed 1 January 2007. ^ Game Over: Kasparov and the Machine, directed by Vikram Jayanti, 2003. ^ Ramón Jiménez, "The Rook Endgame Machine of Torres y Quevedo." ^ Maureen Furniss, "Le Joueur d'Echecs/The Chess Player (review)," The Moving Image 4, no. 1, Spring 2004, pp. 149–151. ^ Internet Movie Database: The Terminator: The Sarah Connor Chronicles: "The Turk". URL accessed 14 April 2008. ^ Time, "Mystery of the Month." 31 October 1938, URL accessed 14 February 2007. ^ Terry Carr (Editor), Universe 7. Doubleday, 1977. ^ Amazon.com: "FAQ: What is Amazon Mechanical Turk? URL accessed 15 January 2006. ^ Katharine Mieszkowski, "'I make $1.45 a week and I love it'," Salon.com, 24 July 2006. URL accessed 15 January 2007. ^ Spiegel Online, Bastian Sick: FRAGEN AN DEN ZWIEBELFISCH "Wie baut man einen Türken?" URL accessed 6 April 2007. Atkinson, George. Chess and Machine Intuition. Exeter: Intellect, 1998; ISBN 1871516447. Ewart, Bradley. Chess: Man vs. Machine. London: Tantivy, 1980; ISBN 049802167X. Hankins, Thomas Leroy, and Robert J. Silverman. Instruments and the Imagination. Princeton, N.J.: Princeton University Press, 1995; ISBN 0691029970. Hsu, Feng-hsiung. Behind Deep Blue: Building the Computer that Defeated the World Chess Champion. Princeton, N.J.: Princeton University Press, 2002; ISBN 0691090653. 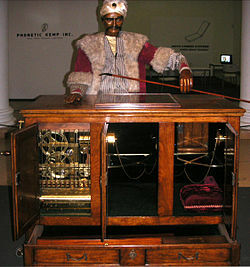 Levitt, Gerald M. The Turk, Chess Automaton. Jefferson, N.C.: McFarland, 2000; ISBN 0786407786. Löhr, Robert The Chess Machine. New York: Penguin Press, 2007; ISBN 1594201269. Rice, Stephen Patrick. Minding the Machine: Languages of Class in Early Industrial America. Berkeley: University of California Press, 2004; ISBN 0520227816. Standage, Tom. 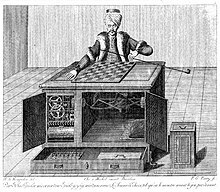 The Turk: The Life and Times of the Famous Eighteenth-Century Chess-Playing Machine. New York: Walker, 2002; ISBN 0802713912. Wood, Gaby. Living Dolls: a Magical History of the Quest for Mechanical Life. London: Faber and Faber, 2002; ISBN 0571178790.